So, they really did it. 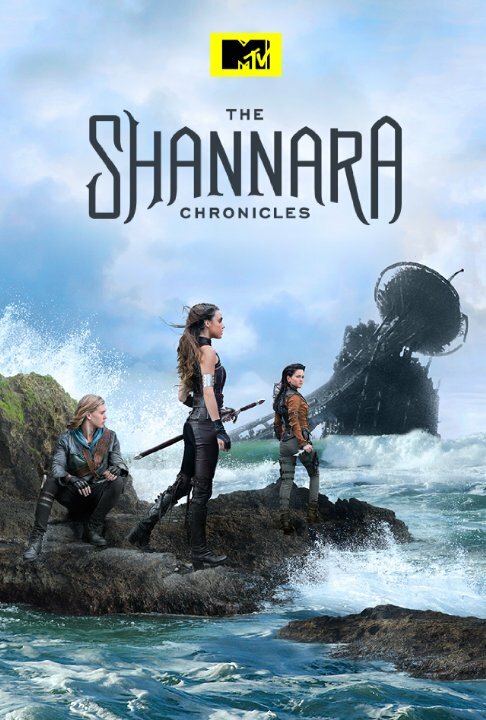 They took Terry Brooks’ unending fantasy epic, the Shannara franchise, and turned it into a television show, entitled, creatively enough, The Shannara Chronicles. Oh, and the trailer made it look really campy, albeit with some surprising stars in leading roles. To answer my question of which novel the show is based on, it’s Elfstones of Shannara. This is not a faithful representation, so purists may be severely disappointed. As for how they’ll extend it into more than one season… I still have no idea. I didn’t hold out much hope, but my curiosity was piqued, so I exercised my one-episode rule: if they can hook me, then I keep watching, and if not, then I don’t. I ended up watching the whole first season, so clearly they did make it past the first episode. What did I think of the series as a whole? 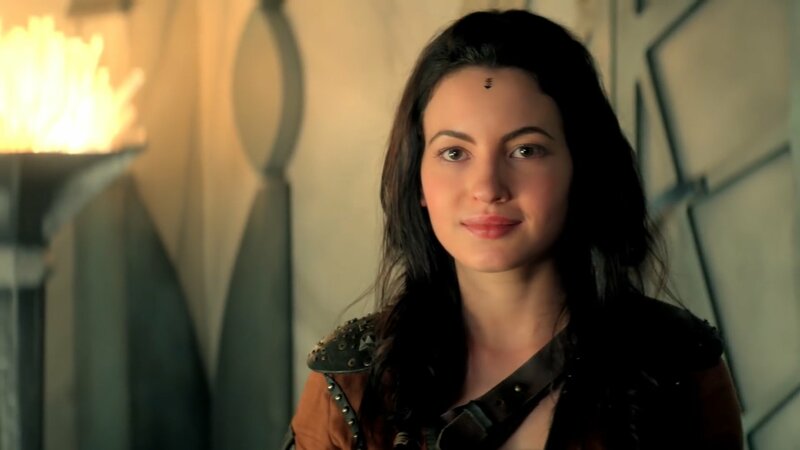 Far and away the best part of Shannara Chronicles is the cast. Manu Bennet and John Rhys-Davies may headline in the roles of Allanon and King Eventine, respectively, but virtually every actor delivers their performance with thespian mastery. Whatever their role, they play it pretty darn well. Brilliant job, each and every one of them. Now, the characters, on the other hand… some of them were ridiculously stupid and all but one-dimensional. Fortunately, others could be more complex, and even the simple ones were oddly entertaining to watch, not dissimilar to how Puck would watch mortals make fools of themselves. That’s a pretty accurate way to describe almost everything about this show: campy to the point of stupid, but somehow entertaining anyway. It’s like Smallville. Complete with teenage-level romances and love triangles. And everyone being able to cross great distances very quickly through the magic of editing, completely ignoring the realism of the novels. And the ham-fisted “subtlety” of… well, everything. The characters who do things “just because,” the music that can feel a bit like overkill, and the world they’ve set this story in. Which, I am not going to lie, I preferred it in the books when we knew this was some post-apocalyptic Earth but with no clues as to exactly where in the world this was all happening, there being very few traces of the civilization that came before. And drama, drama, drama, yet also some riveting, and rushed, character arcs. And modern pop music, which, when randomly spliced in among the epic fantasy soundtrack, is a bit disconcerting. …and did they ever explain what was so special about Will’s heritage and why his family can use those elfstones and no one else can? Yeah, much is left to be desired, but it’s not entirely without merit. Which I seem to be repeating a lot in this review, aren’t I? Hmm, perhaps a bit of me is still trying to justify liking Shannara Chronicles in spite of everything that is flat-out wrong with it. It’s much easier to do that with a guilty pleasure like Deadpool, where at least we know what’s good and what’s less desirable about it. It’s not so easy when there’s a laundry list of flaws and you just kind of like it anyway, ya know? Rating: I’m giving Shannara Chronicles 7 stars out of 10. And only that much because… well, I don’t really know. This entry was posted in Tuesday Review, TV Shows and tagged Shannara Chronicles. Bookmark the permalink.